Rapper Nicki Minaj has come out to refute ongoing claims stating that she has tied the knot with her boyfriend Kenneth Petty. According to Daily Mail, this claims arose after the ‘Anaconda‘ hitmaker referred her boyfriend as her ‘husband’ during her radio show last week. Every night when I get out of the shower, my husband takes this really good lotion that we just bought, and he massages my feet and rubs them. 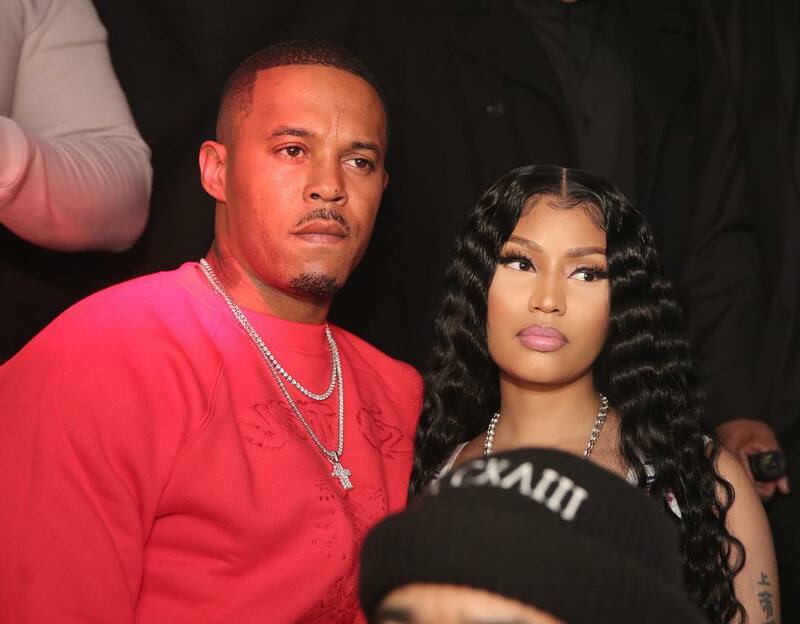 Nicki raised eyebrows when she confirmed her romance with Kenneth – who has reportedly been slapped with two violent conduct violations in 2010 for threats and fighting. However, sources have since told Daily mail that although she is ‘very much in love with Kenneth’, the pair are yet to walk down the aisle. The website continued saying that Nicki is ‘tired’ of people bashing her boyfriend because she doesn’t care about Kenneth’s past because he treats her nicely. Kenneth shot one Lamont Robinson three times on a street corner in Queens in April 2002. Kenneth and some associates allegedly drove to a point across the street from Lamont, whereupon Kenneth emerged from the vehicle and walked over to his victim before firing into his stomach. He served seven years behind bars for the first-degree manslaughter, which he pleaded guilty to after being charged with second-degree murder.